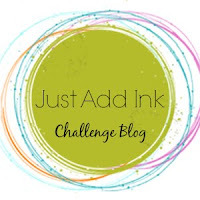 Welcome everyone to the October Just Add Ink Scrapbooking challenge. We have a cool sketch for you to play with this month designed by Delys and we look forward to seeing how you create with it! Here's what the scrapbooking design team came up with..
We hope you will come and play this month, using our Challenge as your inspiration. The challenge closes on the 31st October at 10.00 pm (AEST) Australian Eastern Standard Time. For the US submitters this means the day before for you! Such an awesome sketch dear Deyls!!! LOVE, LOVE, LOOOOOVE your page, and everyone else's too!! Thanks heaps for the fabbo monthly challenges!! Just Add Ink 188 - Winners! Just Add Ink 187 Winners! Just Add Ink # 185 Winners!